Gosh! 1 left - Vinyl rarity! Col Joye, is an Australian popular entertainer and entrepreneur. Joye was the first Australian rock and roll singer to have a number one record Australia-wide, and experienced a string of chart successes in the early Australian rock and roll scene. Recording as a solo artist and with his backing band The Joy Boys, which included his brothers Kevin and Keith, he enjoyed a string of hits on the local and national singles charts of Australia beginning in 1959. 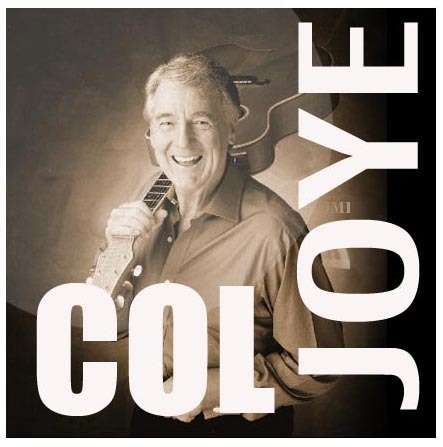 Col's single "Bye Bye Baby", reached No.3 on the Kent Music Report charts in 1959, followed by "Rockin Rollin Clementine" also peaking at No.3, His single, "Oh Yeah Uh Huh", became his most successful, peaking at No.1. He also had other charting singles, including "Yes Sir That's My Baby" peaking at No.5 nationally. Col Joye was an original member of Brian Henderson's Bandstand television program, and appeared regularly on this show for fourteen years. He also toured Australia with Judy Stone, Sandy Scott, and Little Pattie. In 1973, Col had another hit record, with "Heaven Is My Woman's Love" reaching No. 1 on the Go-Set charts in 1973.